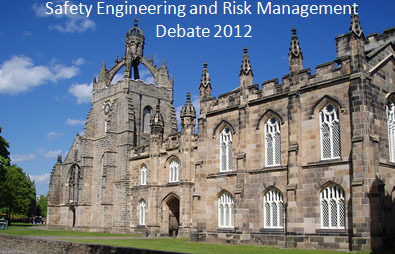 Which one is better, MyAberdeen or iMechanica, for debating topics relate to safety engineering and risk management? Permalink Submitted by oresamuel on Wed, 2012-11-28 21:25. I believe that Myaberdeen compared to imechanica is better for debating topics relating to safety engineering and risk management as it already has a dedicated section for the safety engineering course. It would also automatically send notifications to everyone once a new topic has been added or a comment has been made on a topic which other people can then go on to comment on. It would also be easier for the lecturer, Dr henry tan to track the comments of each student. On the other hand, imechanica allows people who are not in the University of Aberdeen or are not underdoing the safety engineering and risk management course to make comments, comments which could prove useful or enlightening. Permalink Submitted by Fungisai N Nota on Sun, 2012-12-09 15:41. I think that it is good to have it on an open environment rather than on myaberdeen as this prepares you for the future as you will be faced with such a challenge when you go into the industry. For me it was never the environment but rather how the blog was operating that was of concern and the fact that imachanica kept on crashing. Well for one to be able to be constructive and add substance to any field they work in they should be able to air their own view without fear or favour as if you have something to say it mean that you have knowledge and have researched the field you want to talk about. Permalink Submitted by Siwei Kang on Mon, 2012-11-19 18:59. I personally think iMechanica is better. For one thing, we have already used this platform for several months, and mastered most of its functions. It is convenient and helpful. My aberdeen is also a good platform, but we might have no idea about how its blog works. For another, thoudsands of opinions had been posted on iMechanica, which is easy to be traced for debating. Permalink Submitted by Trevor Strawbridge on Tue, 2012-11-20 07:30. Permalink Submitted by Babawale Onagbola on Tue, 2012-11-20 10:49. I seem to disagree with the first post and believe that imechanica is indeed better than My Aberdeen for debating topics in our Safety Engineering and Risk Management course for one reason and one reason only, the GLOBAL PERSPECTIVE. Had the over 1000 posts (I beleive the last count was 868) generated from hours of dedicated research by different students been restricted to My Abrdeen, that is where those posts would end up, MY Aberdeen. And the people able to view the posts would be students taking this module this semester. Worse still, when we graduate from our MSc programmes in September next year, all the ingenius posts we all took time to work on, would ''die'' in my aberdeen. On the other hand, using imechanica as a forum for the debate does not only offer us the opportunity to refer back to posts we made this semster over and over again years from now because it is not restricted to a university group page, it also offers different intellectuals all over the world that you and I have never seen and may never meet, the opportunity to learn a thing or two from posts that we have generated in the last 2 months. A first year engineering student in a remote village in australia in 2014 might find more information on the top 10 major disasters in the energy industry here on our imechanica blog than he would find after spending hours surfing the internet in search of the same information. Why? Because I am sure over 100 students have entered posts on the same set of disasters and defintely covered ALL the information possible about the topic. Permalink Submitted by Oluwatosin A. O... on Tue, 2012-11-20 11:03. In my opinion, I think imechanica is a better debate platform. I have explored the discussion forum on Myaberdeen and I must confess that it doesnt have a good layout like the imechanica platform. Despite its dedicated section for the safety and engineering course, Myaberdeen doesnt allow for debates on different topics at the same time like we have in imechanica. Myaberdeen is very restricted in that it only gives room for people to respond to a particular post already made and an attempt to diversify would only result in squashed up comments and post which can lead to confusion or limitation with respect to posting on different topics. The reason for this is because imechanica was designed as a blog to accomodate several debate topics while Myabereen discussion forum is just to make expressions on a particular topic of interest while expecting a reply along the same line of discussion. Permalink Submitted by Kyle McFarlane on Tue, 2012-11-20 13:11. I prefer Imechanica to myaberdeen because of the chance for outside sources and experts to make an impact on our discussions, I also find the picture format useful in identifying fellow memebers of Aberdeen University. I guess both websites have their pros and cons but in my opinion Imechanica is better due to the fact that it has a much larger reader group and a friendlier layout in terms of ease of posting. The best thing in my opinion about Imechanica is being able to return to our posts in the future, once we have graduated and applied some of the procedures and plans we have highlighted in our discussions. Permalink Submitted by JOHN BOSCO ALIG... on Tue, 2012-11-20 16:04. In my opinion,i dont see any problem with imechanica even though sometimes there is a network failure but that is normal.It can also happen to MyAberdeen. To me doing continuous assessment through posting in a public domain is a very good idea in that we can even get views from students in other Universities or the general public just like Babawale has said. Imechanica being a public domain encouarges us to make thorough reasearch on a given topic before making a post/comment because I dont think that there is any one of us who is willing to make a post/comment that is irrelevant or of a low standard to a public domain moreover with our photographs.It also acts as a selling tool for us to various companies because I remember Prof.Mitchel talking about having seen a photo of one of our colleagues while he was searching for some information over the web.This therefore makes Students from the University of Aberdeen more popular. Imagine if you went for a Job interview in one of the companies and one of the members on the panel recognises your face and remembers you for having made a valuable post on a given topic??? Such a situation may not happen if your post/comment is made on MyAberdeen because it is strictly meant for only University Staff and Students.Concerning Dr.Tan tracking the comments made by each student,I remember him telling us in a lecture that imechanica is capable of tracking the number of posts made by each student. Permalink Submitted by Henry Tan on Tue, 2012-11-20 16:48. Permalink Submitted by michael saiki on Tue, 2012-11-20 18:45. I have seen the contribution of the class to this paltform overtime and I have said to myself it couldnt have been better. This is in my opinion the single most interactive platform in the University of Aberdeen. I have not seen any course that has given students opportunity to challenge what they know and to reavaluate what they they are learning. I also have come to discover that the value we derive hear is sorth off tested knowledge because sometimes you think you know something and someone brings a different perspective that challenges your very thinking. This platform should form a basis for interaction between the academia. I have looked at the blog so far and I think two basic issues form the general reactions of the class: Continous Assessment and Reliability of the platform and they all seemed to have been answered. 1. If it is to enable proper management and assessment tracking, I think Myaberdeen could be better because all the contributions could be easily assessed and the University can handle any issue that students may raise in the long term. Like if a student want access to his score to challenge a score given him the Faculty can easily manage it.This would be because the server would be in the University. 2. If it is on its primary basis of intellectual stimulation and interaction, imechanica will provide a better space since it places these issues on a global scale and has contributions from people of different spheres of life. This would also place University of Aberdeen in the Centre stage in the Ivy league of Universities. My Aberdeen has recently showed that it has its problems. Permalink Submitted by Richard Sedafor on Tue, 2012-11-20 18:55. I think posting in Imechanica is OK now. It used to give alot of problems. I have personally had problems posting. I remember one time after doing hours of reading and researching and posting, my post did not appear on Imechanica. All I saw was a blank space and my image.But that didnt prevent me from posting. All softwares have their problems. My Aberdeen is not different. Recently it has had its problems. I tend to agree with John on that point. I recently googled my name and found my post on imechanica. I imagine that with this posting, oil and gas students will become very popular. I know by now some of my friends in Ghana, U.S.A,china etc might have read something relevant to what they are researching on either by me or some of my colleagues. Or they might just pick up the references and follow up if they think its not accurate. Remember, its a discussion and sometimes your view might be alittle different from what others know. Posts are just a reflection of your level of understanding on the topic at a particular time. Your level of knowledge may increase and your views may change as time goes on. I prefer imechanica to My Aberdeen. Permalink Submitted by Kobina Gyan Budu on Thu, 2012-11-22 17:40.
debate on imechanica has been fantastic. people are advocating for myaberdeen and this is where I support John et al on this blog. MyAberdeen serves as University's requirement. Permalink Submitted by Deinyefa S. Ebikeme on Wed, 2012-11-21 19:02. IMechanica and MyAberdeen Platforms have been designed for specific purposes. Both platforms have their cons and pros with respect to the Safety Engineering and Risk Management Debate 2012 under Dr Henry Tan's blog for us at University of Aberdeen. IMechanica has been designed for knowledge sharing in public domain settings. This makes it accessible by anyone via the internet. Just with reference to the interesting example given by my colleague John Bosco Alinganyira above. It has a simple and attractive interphase with all comments made on any debate topic arranged in a sequential order with basic information such as full name, picture, date of submission and time seen at a glance. This serves as a tool for me to know my colleagues from same University and Department. This was possible because of its in-built tracking system which gives more concise information about any individual in the forum, his/her joining date, contact details of that individual and how many topics he/she has part-took in, etc. This can be done by just a click on the name of the individual you want to find-out about. Despite all these credits, for the purposes of the assessments for the 2012 debate, IMechanica might pose some challenges. One of such challenges is the University Examinations and Records Department requires documentation for student's assessment for long-term (future) references. This cannot be assured by IMechanica because it is not part of the University system. Also the site might probably not be in operation in the near future due to a whole lot of issues such as site licence withdrawn, site-blocked by the operator due to policy change, site-upgraded, site-formatted due to virus attract, etc. And even if it will be, the possibility of segregation of a particular group of students in this case University of Aberdeen students becomes absolutely close to zero due to increasingly rate of participation by people in the global. I believe this is why Dr Henry Tan has come-up with the additional clauses of 'post summary' on the restricted MyAberdeen Platform to meet the University Examination and Records Requirement. And also MyAberdeen flatform serves as easy tool for him to assess those of us participating in the 2012 debate for the purpose of EG50S1/EG501D Continuous Assessment. Permalink Submitted by Henry Tan on Wed, 2012-11-21 19:39. Don’t worry about the documentation for student's assessment: I will print out a hard copy for all the posts on 11 December 2012 at 12:00am (London time). Permalink Submitted by Toby Stephen on Thu, 2012-11-22 09:53. I agree that iMechanica is a much better debate platform although it should have been structured into organised topics from the outset as I think this caused a bit of confusion. I also completely agree with Trevor that it's far too late to change and for this reason iMechanica should be seen out until the end of this semester. Further, I think that in allowing posts to be made to MyAberdeen due to people finding it "embarassment/uncomfortable" to post on iMechanica is a bit feeble - the whole point in a discussion is to step outside of your comfort zone and discuss things openly with others. iMechanica enables the class to attract interest in our debates from people all over the globe who we can discuss issues with and learn from, I don't see how that's a bad thing in the slightest. Permalink Submitted by Hanifah N. Lubega on Thu, 2012-11-22 13:01. The first thing that went through my mind when I saw a notification on 'My Aberdeen' about the changes basing on comments from some students, was how embarrassing is posting on Imechanica?! Unless of course someone hasn't done anything yet and they have to come up with some reason to be favoured or something! Second question was, why would they bring it up now? Then I thought maybe from the SCEF it was raised and a solution has been provided but it didn’t make it a good reason. I would probably understand if the reason was the reliability of Imechanica but then the past week we had problems accessing My Aberdeen as well although the failure rate may be different. This is a debate and the title of the blog shows that it’s the debate between students of the 2012 Safety and Reliability Engineering class. It’s not research (that you'll not be sure about your findings) but a debate about different topics with different approaches from several students that has proved to be helpful to me. How embarrassing can that be? Am not saying am so proud of my comments or that they are very technical, but they are a response to what others have researched with different approaches which we and other students in the future could go back to even after Aberdeen. I haven’t contributed to all topics but even reading through the posts equips you with enough ideas and knowledge about particular topics which I am thankful for right now. We do almost everything with ‘My Aberdeen’ let’s just be flexible enough to try new things/ideas and face the challenges. Permalink Submitted by Hanifah N. Lubega on Thu, 2012-11-22 13:26. Besides, the issues talked about on this blog are not concerns about Safety and Engineering class at Aberdeen University but rather global concerns in safety around the world. Maybe a student in my country Uganda could read through some topics relating to safety in developing countries and probably understand the difference between our perception of safety in relation to the developed countries with the safety culture. I think it has several advantages on Imechanica than it would if it was on My Aberdeen especially if the person managing the blog is not complaining of difficulties in assessment and follow up of posts. Permalink Submitted by Menelaos Michelakis on Thu, 2012-11-22 18:40. I think that imechanica cannot be compared with MyAberdeen for the reason that they are not designed for the same thing. Myaberdeen is designed for communication between students and professors and mostly in order to download files (notes,lectures,tutorials,etc.). It is also ideal for announcements. Imechanica is designed for a different purpose. It is designed for posting information and debating, it is a forum. This is the main difference so they cannot actually be compared. Forums have a different structure, for instance visit www.filosofia.gr where i used to make posts about philosophical problems. Too many siimilarities are to be noticed. We cannot upload photos on Myaberdeen (i think), because it does not have a forum structure, although communication can take place there too, and this is one more difference. To conclude, Myaberdeen and imechanica are completely different in structure because they are designed for different purpose and they should not be compared. Permalink Submitted by Ambrose Ssentongo on Sun, 2012-12-02 10:38.
got to appreciate the benefits of imechanica in the long run. In a long run imechanica is the useful one than myaberdeen. Permalink Submitted by Edwin Lawrance on Thu, 2012-11-22 21:12. Permalink Submitted by Jonathan Ogbekhilu on Fri, 2012-11-23 01:34. With the benefit of hindsight, we can run very quickly to the side of iMechanica. But roll back time; I am sure not near half of those who now support iMechanica will do for very simple reasons such as it is not a University of Aberdeen platform etc. Just as mentioned earlier by Johnbosco, I was excited to discover that post on iMechanica post are available via search engines like Google. This adds some pluses to the student even after graduation from the MSc programme. iMechanica definitely has a wider reach than MyAberdeen, wider coverage on issues and topics, better User Interface, more portable and maybe it might also have better administrative features than Myaberdeen. Maybe I should ask Dr. Henry this question: University of Aberdeen says that my school email address is for life (I know that's correct), are students in the same vain allowed life-time access to MyAberdeen? By and large, thanks to Dr Henry for the opportunity to get introduced to iMechanica as it better address the debate and offers us as students a tool to use after our times in University of Aberdeen. I am definitely for iMechanica for the reasons above and also agreeing with the posts and opinions already shared. However, I want to say that all the features that we mentioned that makes iMechanica tick could also be implemented on the MyAberdeen and make the discussion board more useable and more user friendly. Permalink Submitted by faizakhatri on Fri, 2012-11-23 13:27. Permalink Submitted by Kareem Saheed Remi on Fri, 2012-11-23 17:02. Imechanica and myaberdeen, to me they are two different platforms design to serve different purposes. Imechanical as it is, is a platform where everyone contributes to discussion thread in the areas of their interests. These discussion points are majorly technical in nature which springs up the participant to carry out research out of their primary area of study, in essence it widens the knowledge base of the participants. But in case of myaberdeen, it is strictly designed to serve the academic purpose through which information related to students' courses of study is being exchanged. In agreement with some posts and disagreement with others, i would say that one cannot substitute the other, both of them are needed for the success of our program. But one important feature is missing in imechanical, imechanical would be a better platform if comment notification via registered email address is activated. This would greatly safe time and effort of browsing through the whole topics to see who comment on or reply your post. Permalink Submitted by YAKUBU ABUBAKAR... on Sat, 2012-11-24 00:12. Safety engineering and management 2012 to strive and flourish. that can be trace back to the university of Aberdeen courtesy of imechanica. Permalink Submitted by Dike Nwabueze C... on Sun, 2012-11-25 09:47. In my opinion, I beleive that Imechanica is better. This is because Imechanica has a wider reach, MyAberdeen can be said to be 'local' as it is confined to students of the University of aberdeen and limited to saftey engineering and risk management students. But Imechanica can be said to be 'international', it is global and can go as far as the 'world wide web' will go. This means that anyone in the world (including any village in Nigeria) can have access to imechanica. This will go a long way for posterity. Imagine your child accessing what you have posted in Imechanica 10years from now. Imagine in a conference or a meeting where someone who has been a visitor to imechanica recognising your face, imagine the reputation that imechanica has created for students of the University, imagine Imechanica being the one-stop forum and referals for scholarly information on safety engineering and risk management. Imechanica also has links which can lead you to meeting senior industry experts, professors and doctorate degree holders in related fields. In these links you will see openings for PhD studies which is very helpful. you will also find links like: research;industry;conference;jobs;education etc which will interest you and put you at the cutting-edge of technology all the time. In general, I believe Imechanica is a better forum than MyAberdeen for the debate on safety engineering and risk amanegement. Permalink Submitted by FELIXMAIYO on Sun, 2012-11-25 14:04. Imechanica is a better platform in all aspects compared to MyAberdeen. The purpose of MyAberdeen is to provide communication between students and their tutors. I can say that, if MyAberdeen had been used at the initial stage it would have worked the same way or it would have had the same impact as Imechanica. Bringing it at this stage when we are at an advanced stage of Imechanica, people will be sceptical about it. On supporting Imechanica , it’s a global discussion site and the information posted there are bound to stay as long as Imechanica still exists. Therefore one would look at this information at any time in their lifetime, maybe as for reference purpose because the information provided are well researched by my colleagues. The second advantage is the level of organisation in Imechanica is high because you can go to different topics from the main blog in comparison to MyAberdeen. But am sure if Dr.Tan had given seriousness to MyAberdeen am sure the two would compete at the same level in organisation. All in all imechanica is better than MyAberdeen for now but who knows the future. Permalink Submitted by Harrison Oluwaseyi on Sun, 2012-11-25 19:04.
the most intelligent, but the one most responsive to change'. - Charles Darwin. management students, this access is limited for a period of 1year. Permalink Submitted by farman oladi on Mon, 2012-11-26 09:00. I agree with using iMechanica as our debate platform. Everyone can access to this web site and read our posts associated with his or her own interest, and also we shouldn’t forget that we have started posting in iMechanica just for the last three months, I believe in near future this web site will be popular between students and experts, and many people will refer to iMechanica to find their answers or have a wider view on the subject. New ideas and solutions could be seen and noted; also some of the topics could be used in the related industry.Another advantage is that upon our graduated, our connection will be cut with My Aberdeen, but we can use iMechanica and future students opinions for years to come. We can keep our connection with this website and continue our discussion in the future and be in touch with new ideas as well as pass on our experiences to the younger generation. Actually by doing so we should think beyond the fundamental safety and risk management course. Permalink Submitted by Keqin Chen on Mon, 2012-11-26 12:37.
most of us have already been familiar with the read and post in Imechanica. especially in the end of debate. Permalink Submitted by OKEKE FRANCIS on Wed, 2012-11-28 07:35. For debating topics related to safety engineering and risk management, I would prefer imechanica. imechanica and myaberdeen both have its pros and cons in relation to this debate but I feel imechanica is a better choice. imechanica can be accessed anywhere in the world and other people of like minds and same interest can participate in the debate. This gives it a larger platform compared to myaberdeen which is only university-wide. Upon graduation, myaberdeen access will cease while imechanica will be continuous so far the host server is up. One can still refer to posts on the platform and even make contributions on other blogs outside the debate. myaberdeen is fulfilling its purpose as a comprehensive personal portal while imechanica is doing great as a platform for debate relating to safety engineering and risk management. Permalink Submitted by Alabi Ochu Abdu... on Fri, 2012-11-30 05:47. I would start by saying that life itself is a competition and everything in life tends to have advantages and disadvantages. In trying to make a choice between two or more alternatives, let’s be careful in how we go about it as many factors would have to be considered between the options and an immediate benefit would not help matters in such a condition. A decision tree, where we have to quantify and analyse the various factors that may affect the final selection between the alternatives may be employed. After my own analysis, though both are good, there is always a preferred alternative and that is posting through imechanica. A wider range of views and greater accessibility are factors that greatly enhanced it choice. Permalink Submitted by Ambrose Ssentongo on Sat, 2012-12-01 14:49. Given the main objectives with which the blog was opened in the first place and these being in my opinion; for it to be a mode of continuous assessment and a public medium via which our posts can be viewed by scholars from other universities and then also the general public with a motive to have our comments out there for everyone to benefit from the discussions on the various topics here. For the case of misinformation we get criticised and for the case of good observations and indepth research portrayed in the posts, we’re commended. This adds value to our academic life here at Aberdeen University. My Aberdeen has limited ways through which it meets these objectives and thus scores low in my opinion. If it was a confidential exercise, then myaberdeen would be well suited but it isn’t one as such so I think we’re better off with imechanica. Permalink Submitted by Ike Precious C. on Sun, 2012-12-02 23:36. As it has been mentioned earlier, I think the most important thing is the purpose for MyAberdeen and IMechanica. For the purpose of this debate, I believe IMechanica is better as a result of the privilege of having to interact with people who are currently in the industry. Like it or not, most of the students on the IMechanica who started posting for marks had their intentions changed when they started interacting with people from the industry; there were times you would be asked to prove your point and they (people in the industry) will speak relate what the books say and what is really obtainable in the industry today. On the other hand, it has helped bring back to us a skill most of us left since high school or secondary school days - Debate - but this time on a wider scale, not just your colleagues, which would have been obatinable with IMechanica, but anyone and everyone all over the world. It is one thing to air your opinions, and it is one thing to reasonably make your listener or reader understand your opinion; making your reader understand your opinion without taking offence is one major lesson I will take from this debate. Finally, when we graduate and face some of these challenges in our workplace or industry, IMechanica gives a platform to ask for assistance from those who have been there based on the community that exists in IMechanica and one would have different views/solutions to his/her query. In my opinion, I think IMechanica is worth the use. This is a community that we can always glean on even after graduation but MyAberdeen is strictly for staff and students of University of Aberdeen. Permalink Submitted by Kelvin Osaro on Tue, 2012-12-04 08:49. In my opinion, I think both sites cannot be compared with each other because both sites are designed for different purpose. However, for debating topics relating to safety engineering and risk management, MyAberdeen can be created in a way we could probably debate on different academic topics but it might cost the university more money to improve the site just for this module which is not feasible. Hence, iMechanica will be of more advantage for debating topics relating to safety engineering and risk engineering because it is designed for posting information and as a forum for discussion, free to sign up and it can be accessed by anyone in any part of the world. In the case of the accessibility, iMechanica can be accessed anywhere in the world even after the masters degree but MyAberdeen is only restricted to student and staff only and would not be a good platform for debate. More so, iMechanica creates a forum whereby our university can be recognised in the world through this discussion forum. Permalink Submitted by Foivos Theofilo... on Tue, 2012-12-04 16:35. (as it has for me, in matters that I had no experience of). things from time to time. Permalink Submitted by charlesggeorge on Wed, 2012-12-05 15:35.
around the world as comparing with my aberdeen. are created for different purposes and they have different role and function. Permalink Submitted by ADEDEJI KUYE on Thu, 2012-12-06 02:25.
anybody can kindly explain that). Permalink Submitted by Yaw Akyampon Bo... on Thu, 2012-12-06 21:48. Aberdeen does not give me the ease with which I have found with iMechanica. Aberdeen is already set to student’s accounts. cause some individuals to be uncomfortable. documents strictly confidential for academic purposes. Permalink Submitted by Ryan Grekowicz on Fri, 2012-12-07 18:09. Originally, I was definitely in favor of utilizing iMechanica simply because it is more user friendly. The ability to quickly scroll down through all the comments without having to individually click on each comment saved a tremendous amount of time when reviewing in upwards of 30 posts. This is the primary reason why I originally supported iMechanica; if somehow myAberdeen was modified so that you could easily scroll through posts, then I feel there would be no reason to utilize iMechanica. Recently I Googled my name, and one of the first things that showed up were my posts from iMechanica, which really suprised me. It also displayed my company name which really concerned me because I was definitely expressing my own opinion in my posts, and not necessarily the opinion of my company. Since my company has been in the news a lot, we have all been trained to be very cautious with what we say in public forums because they can very easily show up as evidence in court. It is because of this that I definitely feel that this course should utilize myAberdeen for debates. Permalink Submitted by Henry Tan on Sat, 2012-12-08 08:33. 2) Edit your personal information. Permalink Submitted by Bassey Kufre Peter on Sat, 2012-12-08 00:17.
markets and hierarchically organized firms known as “social sharing and exchange”. after five years of my graduation. access to MyAberdeen which is a Visual Learning Environment (VLE) ceased upon graduation. Permalink Submitted by ROHIT NAIR on Sat, 2012-12-08 19:09.
myaberdeen is only available during the academic period. Permalink Submitted by haroon latif on Sat, 2012-12-08 21:08. I have had the pleasure of using both Imechanica and MyAberdeen. My personal preference is Imechanica, and as mentioned by a lot of my colleagues on this blog it offers a unique way of having a debate which can be seen across the entire world, with other scientists and engineers being able to contribute to it. Other benefits over MyAberdeen is that more comments and blogs are posted here. Also Dr Tan is very good at supporting student blogs, and encourages blogs from different backgrounds as long as they are related to safety engineering which is helpful. Imechanica is not perfect though - it can be slow at times, but the benefits outweigh the negatives. I will definitely have a look at the Safety Engineering debate for 2013, and will try to post some comments! Marry Christmas and Happy New Year to my class! Permalink Submitted by Henry Tan on Sun, 2012-12-09 08:18. Thank you Haroon, looking forward to seeing you again in Debate 2013. Permalink Submitted by nina yari on Sat, 2012-12-08 22:18. I personally believe that imechanica is better compared to my aberdeen. Except site crash sometimes, imechanica is perfect for the following reasons. imechanica is a real debate platform so one can read others opinion before posting a comment which leads to a better knowledge of the issue. For instance, a lot of posts in the blogs helped me understand safety lessons better. It also encourages students to post more valuable posts since it is a public domain and can be seen by our classmates and other professionals. In addition, this website can be a good refrence if we need information on any topics later. On the other hand, my aberdeen has spell checker and does not have as much crash as imechanica has. I will continue using imechanica since it's advantages outweights my aberdeen's advantages. However, I am grateful that the decision which one to choose rests with us. Permalink Submitted by Catriona Ogg on Sun, 2012-12-09 07:39.
to post successfully that it does for me to write one in the first place! navigate with topics not in numerical order and some not numbered at all. comment here where it is the first regarding that topic will look original. Permalink Submitted by Henry Tan on Sun, 2012-12-09 08:08. You are right, it is a little bit challenging since comments are spread across two platforms now; however they are still manageable. A ‘good post’ should have some value, and I will not be strict in this since this is the first time we do such kind of assignment, and the marking rule is revised which may cause difficulties to students. I just realized that you submitted all your 7 posts in less than 1 day. I hope this assignment can be treated as a continuous assignment, i.e., an assignment completed in a continuously distributed time period. Permalink Submitted by Catriona Ogg on Tue, 2012-12-11 05:48. Yes under normal circumstances I would have tackled the assignment sooner, but to be honest I was a little put off from doing so since the marking criteria kept changing. We only received the email clarifying it 2 weeks ago, and the word count has changed again since then. I understand that since this is the first continuous assessment of its type, there are bound to be some unforeseen problems, such as the server issues. But I do think that something as fundamental as the marking criteria should have been firmly decided upon the day the assignment was handed out. As far as the nature of the assignment is concerned, I'll admit I didn't like the idea at first, but once I started posting comments I began to appreciate the concept a little more and I have enjoyed it overall. I think it would be beneficial to set a similar task next year, but would definitely recommend deciding on a solid marking scheme beforehand to alleviate any confusion. 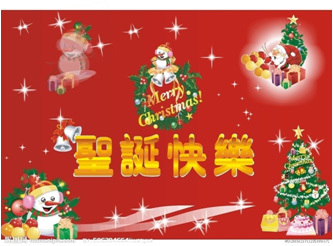 Permalink Submitted by leighmoreton on Mon, 2012-12-10 12:43. I personally prefer to use the system of myAberdeen for the purpose of this blog. Not only am I more familiar with the software but I also think that it is more secure, being on the university server, and less likely to crash. I have personally been affected by the iMechanica site crashing several times at the start of this assignment and find that as it is based of an international server it would be easier to control the blog from a local server, such as at the university so that if any problems occur they can be reported and dealt with immediately, rather than waiting for a server in another country, and possibly timezone, to be repaired and rebooted. I also am not overly enthusiastic about this being a public server, as ANYONE can read the posts I place on here and I do not wish for my opinions on this site to be held against me in the future, such as for job interviews. For these reasons I feel that in future, if this assignment continues then it should be hosted using the university servers and myAberdeen. IMECH The students who complained. must be very unhappy persons. Permalink Submitted by Ber_Mar on Mon, 2012-12-10 13:00. DR. HENRY TAN I HAVE to say that this recent change by the school board is not good for anyone. Sincerely i can't believe that some students went to the school council to complain, someone must be very unhappy about their own life. I know for a fact that most students to whom i talked from subsea Eng. didnt agree with the change, as the Rules shouldnt be changed in the middle of the game. I support your new method of teaching, and believe really interaction between students is the way to learn. Unfortunatelly some close minded persons didnt think so. Sincerely i dont see the point of doing 20 mini 100 words on my aberdeen, like an authist byourselves... After this change and because everyone is not sure how to get the 20 marks, everyone is just doing more and more posts to minimize the risk of not getting 20 points... Which is also not fair, because some had already done and have time, and others just counting for 20 post have less time. Nevertheless i agree that plagiarism should be checked always, and eventually some posts not counted, but if they are valid they should be 1. By Valid i mean a post that brings either a fact, a sustained opinion or a discussion between some students with new ideas to the businesss. Please continue to inovate as you have done before. Permalink Submitted by Ber_Mar on Mon, 2012-12-10 13:06. Permalink Submitted by leighmoreton on Mon, 2012-12-10 14:38. Ben everyone is entitled to their own opinions. Although I agree that is difficult to complete the assignment when the 'goal-posts' keep changing. People are also entitled to go through ANY communication channel in the university without being considered "unhappy about their own life", if they feel there is an issue with the course that may be affecting their learning. I feel that although it is difficult to post some comments with under 100 words, as what the topics are requesting, people will not be penalised for the amount of writing they are doing provided that the information in the blogs is relevant to the point they are making. Permalink Submitted by Fungisai N Nota on Mon, 2012-12-10 14:46. Permalink Submitted by Fungisai N Nota on Mon, 2012-12-10 14:51. Permalink Submitted by Fungisai N Nota on Mon, 2012-12-10 14:56.
to both you and me and you are not helping the cause. Permalink Submitted by leighmoreton on Mon, 2012-12-10 14:58. It is at times like this that I wish iMechanica had a like button. Permalink Submitted by Ernest Appiah on Mon, 2012-12-10 15:13. For the sake of privacy I prefer My Aberdeen to iMechanica since My Aberdeen is not opened to the public domain. I wouldn't be happy if an expressed opinion about a particular topic is used against me in the future by a potential employer or whoever. The fact that I have an expressed opinion about the very little dangers of say nuclear power does not necessary mean I may not not change my mind as issues surrounding the nuclear industry becomes more clearer or as I gain more unreputable facts about the dangers. Also on the issue of some students being unhappy about their own life, I believe its their right not to be happy. No one should take that away from them nor should it be used as an insult against them if they decide to complain if they do not like the direction of the course and the assessment. Permalink Submitted by WilliamBradford on Mon, 2012-12-10 16:24. I have no problem with the iMechanica privacy issues, the issues I have are with iMechanica itself. But, I definitely think that iMechanica is the better of the two, mostly because the discussion boards on myAberdeen are an absolute nightmare to navigate. Permalink Submitted by leighmoreton on Tue, 2012-12-11 05:22. Permalink Submitted by Hani Shobaki on Mon, 2012-12-10 18:10. Having struggled with the user interface of iMechanica; it offered a great challenge in formatting after pasting, and also editing your post after it had been made. There is no option to delete the code in one of my posts, and no option to delete the post. I was thankful the posting option on my Aberdeen was introduced. It seemed a much simpler interface, while it doesn't offer the option of style choices and additional media it is quick. The forum works as expected, and therefore valuable time is not wasted while trying to migrate my comments from word or text edit to this forum. However as much as I prefer the simplicity of MyAberdeen, there is a distinct lack of debate taking place, rather than discussing the topics it appears to be a vessel for posting 20 mini-essays. While the research of the topic is important it was my understanding that the purpose of this assignment was the element of debate, in order to get a deeper understanding by arguing your case under the scrutiny of your peers. Permalink Submitted by Mehran Vakil on Mon, 2012-12-10 22:35. In my opinion, Imechanica is an internal knowledge base .It has given the opportunity to share your comments and beliefs about different topics .Since it can be seen by public in the internet , it can be a very good place for student’s all around the world to meet the ideas of other students rather than their own university. Also ,it gives you the chance to find out how much your opinion make sense or can be used in the real world. On the other hand, My Aberdeen is more like electronically private meeting , where all the Aberdeen ‘s students can see their grades , their current course materials and many other related university issues. One of the advantages is that every student will be known when a new comment or topic is on the website by the notifications. I believe My Aberdeen is a better place for the teacher to see the comments and give the grades but Imechanica make it more public and more real to talk and comment about the debate. All in all, I think both of them needs to be existed. My Aberdeen’s Privacy for students giving them the focus they need to have on the university related issues. On the other hand , Imechanica’s publicity can evaluate the students capability in saying out loud their ideas and sharing knowledge with not only their classmates but also the whole world. These two combinations are what make the student the real one. Permalink Submitted by amir masoud bayat on Mon, 2012-12-10 23:07.
this website is useful not only during my master but also after graduation. Permalink Submitted by Tony Morgan on Tue, 2012-12-11 05:41. As the title suggests it is is true that everyone has their opinions and difficulties certainly with their life, work , family etc. This why i feel some constructive additions or alterations for next year would the use or move toward a real discussion board feel where various features are introduced that can remove some of the issues found this year. PAssword or access levels, private posting to group or public can be checked or uncheckes as individuals require, threads are clearly maintained by user profile to save time on finding and replying or tracking your posts or ones that you may have flagges as favouritesto save time and effort. I especially like the feature on creating polls. so you can get a consensus at the start of the thread and after debate ? this would really show trends and possibly learning value to support better investment in the concept and principles of use a learning tool ? there is a poll button on imechanica but doesnt work as id expect ? Remember - R.E.S.P.E.C.T. what does it mean to you !